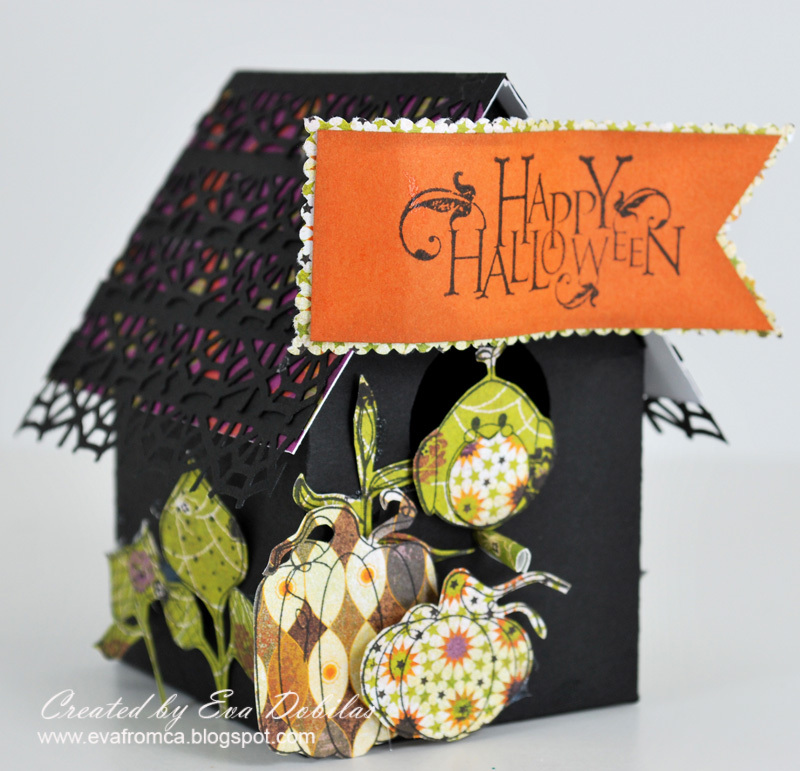 For the love of life: Helmar Halloween/Fall Blog Hop! Welcome to the First Annual Helmar Halloween Howler Blog Hop! 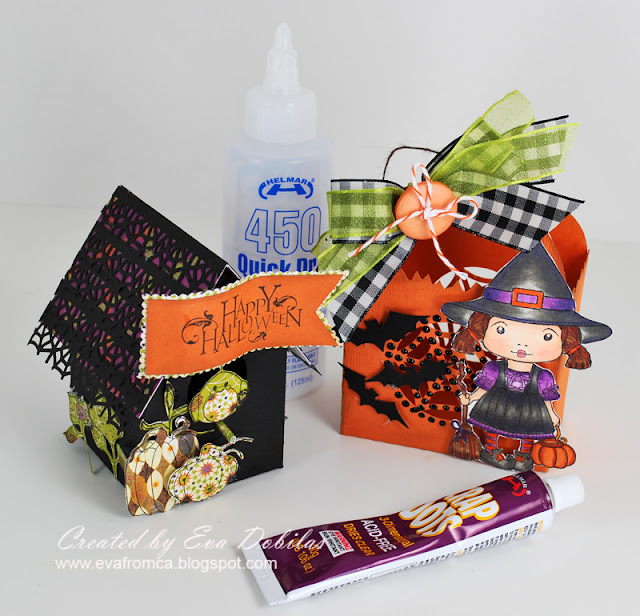 If you have been following along, you should have hopped here from Tina's blog. 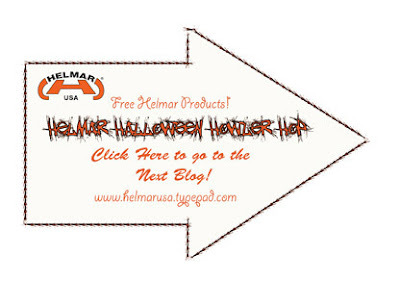 If you just started out, you don't want to miss anything, so hop on back to the Helmar Blog to start out and see all the Halloween and Fall Inspirations! I actually got inspired to make two projects. Both of them were made with the use of a lot of Helmar 450 Liquid Glue and all the popped up elements were glued on with Helmar Liquid Scrapdots. My first project is a little Halloween House Using Samantha Walker's Silhouette Digital cut, some Basic Grey papers and Ippity and Unity stamps. I used my Martha Stewart border punch to make my roof top, which I think turned out pretty cute....but what do you think? My second project is another Samantha Walker Silhouette digital cut and it's a treat bag, which you can fill with candy for your favorite little trick or treater...hehehe. I also used La-La Land's Witch Marci and colored her in with Copic markers, as she is just too cute for this little project. 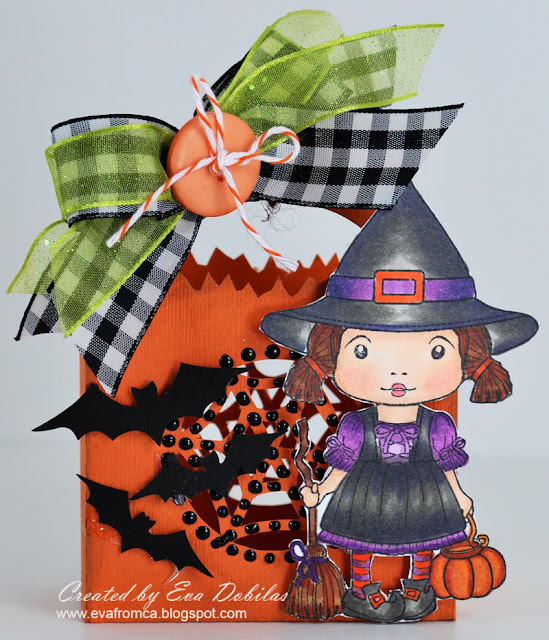 The bats are also Samantha Walker's digital Silhouette cuts and were added with Scrapdots. Aren't they cute??? Well, that is all I have for you. Hope you are enjoying the hop and getting a lot of fun ideas and inspirations! 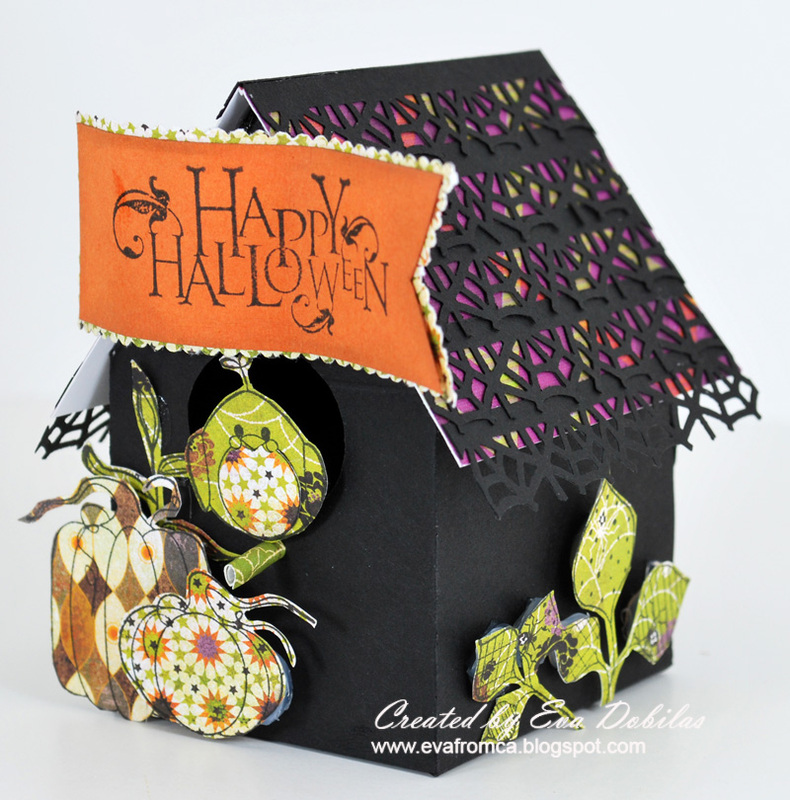 And now it's time to jump to Karen's blog to see what gorgeous creation she has waiting for you!